Udupi, March 2, 2017: Speaking after inaugurating an awareness drive on Gram Swarajya on March 1, Wednesday. 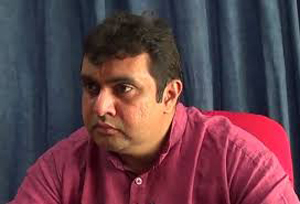 Udupi District In-charge Minister Pramod Madhwaraj said that administrative decentralisation is an essential component that supports the overall progress of any country. The minister stated that Udupi is a prime exemple of the outcome of effective administrative decentralisation which was adopted in the district since its inception. He said that the whole idea of administrative decentralisation gives priority to justice for the poor by ensuring better governance at grass root level. The Panchayat Raj system reflects the concept of Grama Swarajya proposed by Mahatma Gandhi. Lauding the efforts of former Prime Minister Rajiv Gandhi for his foresightedness to introduce the three-tier local governance in the country, Madhwaraj said that, until the Amendments 73 and 74 of the Constitution were introduced, regular polls were not held to the bodies representing the three-tier local governance. Through these amendments, local self-governance was introduced in rural and urban India. Asserting that the Panchayat Raj system should be strengthened, the minister said that the implementation of administrative decentralisation, especially gram sabhas, will help the government evaluate the problems as well as the progress in the respective gram panchayats. "There are as many as 6,023 gram panchayats in Karnataka. Recently a study was conducted to look into the progress of each gram panchayat in terms of human development index. Out of 30 districts in the state, only three districts stand out, marking outstanding performance. These districts include, Bengaluru Urban, Dakshina Kannada and Udupi. The list of the first 250 comprises the names of gram panchayats from only these three districts," said Madhwaraj. He reiterated that Panchayat Raj system is being effectively introduced and practised in Udupi. Rajya Sabha member Oscar Fernandes said that there are 33 lakh panchayat members in India and women are establishing themselves in majority in the administrative system at grass root level. There is a need for health, education and employment opportunities. He added that Udupi district incorporated inclusive growth and is the cradle of banking sector. Banking was started in rural format and went on to become a national-level showpiece.